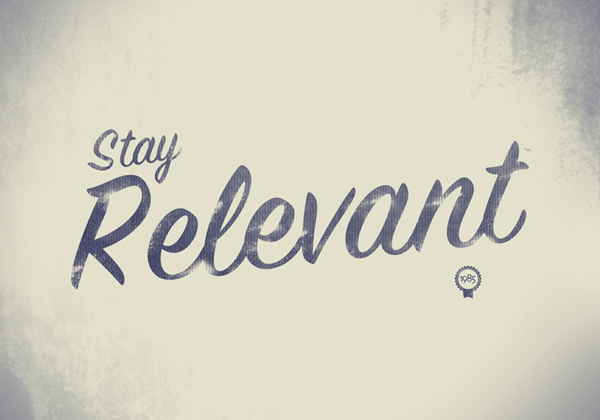 Everyone is talking about relevance lately, and when it comes to the church, it’s a conversation we need to have. The world is changing faster than it ever has before, and without sacrificing the Truth of the Gospel, the church needs to change with it. The good news is that there are things pastors and churches can do to make sure they don’t miss opportunities to minister to people in the midst of a changing culture. Here are five things pastors and churches should know. A pastor friend of mine named Rob Ketterling is the master of using church networks to add value to himself and his community. He is a part of several different church networks and doesn’t see these commitments as a distraction from what he is doing but as an integral part of his role as a pastor. His involvement in networks outside of his own church community helps keep his mind sharp and gives him eyes to see the change that is happening in the full scope of the Kingdom. It helps him bring fresh vision and ideas back to his community. This point is so important that I wrote a whole blog post about it. The church needs to engage with social media in a meaningful way. If we miss this point, we’re missing a whole group of people we could otherwise reach with the Gospel Message. This is evangelism of the twenty-first century. Engaging with social media isn’t just about learning to use it, it’s about learning to use it well. This means learning to listen, not just promote your message. It means adding value to the online world, the same way you add value to your congregation on Sunday morning. We need to start seeing our online services as more than just an extension of our Sunday morning service. There are people who would never walk through the doors of your church who would watch an online sermon in their pajamas. That’s why it’s important to share resources (for free) online. This ministry is as real as any other ministry your church provides — including your children’s ministry, your young adults, and even missions. People are meeting Jesus online everyday, as well as in church buildings. We need to be engaging our online community and making them feel safe enough to join our physical community on Sunday mornings. Church mergers tend to make people feel nervous because the underlying implication is that we’re losing a church community. I prefer to think of it like we’re utilizing resources to keep thriving communities alive. I’ve written before about my friend who keeps a Pinterest board specifically for churches that have died and been turned into other things — coffee shops, bookstores, etc. Don't let your church end up on Pinterest. Be open to the idea of merging resources between congregations in order to keep thriving communities thriving for years to come. Churches that position themselves to receive our diversifying culture will be churches that thrive in the next ten years. Notice the demographics of the broader community around you, and find ways to welcome them in your building. One final thing to keep in mind is that change is not new to the church. Churches have been changing in different ways, and for different reasons, since the beginning of time. Embrace the changes that are right for your community as you move forward to bring the Kingdom of Heaven to earth. Justin has over a decade of local church ministry. Justin’s first pastoral role was at the age of 21 as Senior High Pastor to over 400 students at Emmanuel Christian Center. In 2002 Justin and his wife Andrea moved to Red Oak, TX (Dallas), to serve as the Young Adult Pastors at The Oaks Fellowship.